Book spines have long offered designers an opportunity to add colour and even art to a wall. Hotels and interior designers have often bought books by the yard, not to read, but to ‘furnish’ a room, lobby and make a statement. Whether it was the iconic Penguin paperback ‘pantone’ jackets of the Lane era, the leather bound law and medical books that gave a false rare book feel, or the uniform classics of Wordsworth, OUP, Everyman, the spines can offer more than just information, they offer decoration. We often all look at a private library shelf and find our eyes drawn to those neatly lined up collections that are not alphabetically stacked, but offer a ‘uniform’ look of colour. Random House Canada now want to shout about the ‘beauty of books’ and are experimenting with readers classics with solid Pantone covers. Thirty titles have been selected for an exclusive Indigo offer and include Canadian stalwarts such as Margaret Atwood in purple, Michael Ondaatje in blue and Wayson Choy in orange. Random have attempted to align colours with the themes with darker shades for deep books and lighter shades for less serious tomes. They even price the pantone editions at a slight ‘collector’ premium. Will the book attract designers, young aspiration professionals wishing to make a statement on their shelves and maybe the odd reader will be an interesting question. Unfortunately, even if the they sell well there remains the questions as to why they were bought and if they are to be read, or merely decorate yet another wall, or even to provide a literary collection? 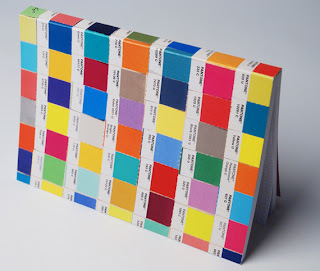 The price variance can be some $5 with the pantone edition being some $17. But they do offer two for $24, but hardly prices to go out and buy the collection! Perhaps buyers are drawn to the potential rarity of such editions or maybe it is down to the block of colour. So do you arrange your bookshelves by colour and would you expect to find books in a store based on the colour of the spine? Do you want this blog as a downloadable ebook? Something you can read easier on your ereader or reading application without having to browse online? Sounds interesting and also is potentially full of all sorts of promise for the market. The great thing is that it is that it can now be created it literally in one click by eBook Glue. Shantanu Bala a student of Arizona State University has created eBook Glue which takes a URL or RSS feed and creates either a EPUB or MOBI file download and a unique URL you can share as we have done above. The service has only been live for a few weeks and today is free and although there are some obvious teething issues and limits. For example eBook Glue today only converts a blog’s ‘first page’ so although you may like ourselves have over 2,000 blogs you only get the last few weeks, you don’t see the top read blogs or have access to the index of blogs. It also shows us that our own post formatting can be improved and be more consistent! None the less it is quite impressive and Bala plans for it to work on all websites not just blogs. Some interesting insights from ‘How Music Works’ by David Byrne. We may agree or disagree but should acknowledge an insider's perspective from a winner of Grammy, Oscar, and Golden Globe awards and member of the Rock and Roll Hall of Fame. We recommend the book as one all who read this blog should read. 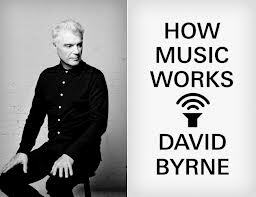 'How Music Works' is not an autobiography on the life of musician and writer David Byrne, but is what it says on the tin, an insight into how music works. It is told by an artist who has lived they highs and lows, through one of the most turbulent periods of music, where music itself has gone through many changes. During these last decades how the industry invests and rewards its artists, how music is recorded and now captured, how we as consumers pay for it, listen to it , share it and value it and above all the way artists earn from it have all have changed. Many have written about the changes in the music industry and wider media market but few have the breadth and depth of Byrne’s experience, or importantly the ability to communicate it. 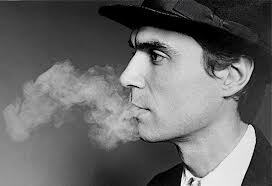 Byrne has walked the walk from the post punk New York club scene, the highly acclaimed Talking Heads, his collaborations with Brain Eno, his collaborations with new world music, the tours the hype and the rock and roll. But Byrne doesn't talk about the sensational but about music, the economics, drivers, changes and it recent recording history. He does so from often insightful experience and by disclosing the facts behind some of the commercial models as applied to his own music and comparing these to alternative models. Frank, insightful and thought provoking ‘How Music Works’ should be a ‘must read’ for all artists, writers, producers and those associated with music and media. Over the next week we shall be sharing some of Byrne’s thoughts from the book and if you are interesting in this blog you should be reading the book. If just to reinforce the lack of vision and strategy within the UK public library market, the Mayfield Library in Dalkieth, will on ‘Love Your Library Day on 2nd February, stage a free pole-dancing class for the over 16s. The objective is not to loan out 50 Shades of books, but in some warped idea, the Council believe it will persuade more people to use the service. The obvious question is which service? Well it seems the council have some other strange ideas. When it comes to promoting books, reading and libraries they intend to include "booky table tennis" on the day. Booky table tennis demonstrates their view on value of books, by players use books instead of bats! They do also plan to offer some other events such as Scottish country dancing, head massages, an Xbox challenge for both children and their parents, local singers and musicians and sessions for would-be authors on how to write a novel. Redigi to Land in Europe and Sell Music and Books! Are we about to see the demise of the lack of a first sale doctrine on digital files? Although ReDigi is still locked in a US court case with Capitol records accused of copyright infringement they now plan to bring their service to Europe. Amazon is releasing its AutoRip service which gives buyers of the physical they can resell and a digital copy for life in the cloud. Others a queued up watching as many start to push the boundaries on digital media, the right to resell and the whole question of the licence you get when you buy digital media. ReDigi move to Europe is within the next quarter and is not just about music files but also ebooks and potentially video, games and software. This means that publishers who may have been watching the music industry from the sidelines are now potential in the arena alongside them on this one in Europe. Last year in a EU court ruling the door was opened for the resale o media file to be fully tested. In a case between UsedSoft and Oracle, the EU court stated that the UsedSoft service could enable the resell of Oracle software and that the copyright owner’s rights could not prohibit the resale by its customers. Many ignored the ruling thinking it only was about software, but it wasn’t and its now threatening to come home in the shape of Redigi. If the services takes hold in Europe it could itself impact the US and there would appear to be no reason why consumers would not embrace the service. Redigi in effect broker the resale of digital files for a reduced price and so create a second hand, or used media market. 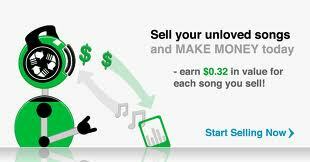 ReDigi only allows people to sell music files they have legally purchased and scans users’ computers and devices for illicit files and requests them to be deleted. Redigi recognise that a digital file can be copied and have built their service on moving the digital file to their servers and removing it from the seller’s system. The buyer retrieves the file from Redigi. 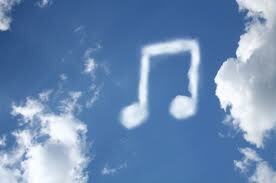 ReDigi also has enabled artists to register with its site and receive 20% royalty on sales through its platform. The objections from the industry are based around the lack of ‘first sale doctrine’ on digital product and that the file is always ‘mint’. The fear of piracy drives copyright owners to the barricades whilst the service itself drives consumers to challenge them. This Mexican stand-off often overrules the need to find a solution that works for all. Some would suggest that the visibility of the dual standards being adopted between physical and digital rights themselves will generate more piracy than the service itself! Why do we allow the goose that could lay a golden egg to decline? If you could envisage one service , one hub, one recognised body from today that could do battle with the internet’s digital omnivores and add real value, it would not be the big chains, nor the media chains, not the independent bookstores and not even the supermarkets, but could be the public library. The public library has the real ability to add real value and to be a real community hub in social network community world. But does it understand this, or as in the UK, is it obsessed with its statutory obligations and keeping everything ‘as is’ at all costs? Are the ‘Shhh, no noise’ signs actually hiding a sleeping environment that is simply not listening to the market and its customers? We are witnessing harsh funding cuts, a worrying migration to voluntary services, the wholesale dumping of every customer facing civic service into the library’s ‘underused space’ and a general lack of leadership and digital direction within the public library community. This last week we read about further potential cuts to library services in Newcastle, Sheffield and Islington, but today’s budget cuts of today are not so much a result of the current financial climate but the years of lack of leadership, coherent strategy which have lead them to be seen as ‘soft targets’ for decline and cuts today. Joining up the service dots now is proving a challenge in an environment full of different agendas and too many experts. Many ‘talk the talk’, but few ‘walk the walk’ and innovation is often viewed as ‘not invented here’. There are as with any diverse group, exceptions which will get quoted to rebuke this view, but the majority remain wedded to the past, or find them selves struggling to treat the patient that is now past plasters and bandages. Has the media and publishing community really helped? Where they there when the market started to turn digital, or sitting on the side looking after their own interests? Why is the only real substantial offer in the UK libraries from the US Overdrive? Why are some publishers still undecided on how to licence ebooks to libraries and some more concerned about reorders for no worn out digital copies than promoting open lending? We will give books away to promote reading. We will support 15 million unit promotions with junk food giants, but we still fail to resolve the digital economics of ebooks in a library world. There is no national incentive to build a UK digital library to serve all but several initiatives to outsource the core business to others such as Overdrive. Perhaps we are dreamers, but replicating digital programmes in every community and ‘cut and pasting’ Overdrive’s API onto the back of the library system is not a viable long term solution and is not a sustainable model. 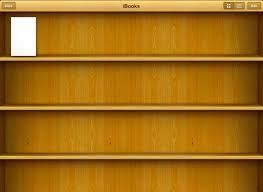 Some have suggested that libraries should only be able to lend digital books from the physical library. We wish they had used the same logic on the High Street, but again we all know how ludicrous that argument would have been. Libraries now have to be available 365 x 24 x 7 and the internet offer today in many is woefully short of offering that service. It’s not just about digital its about community service and that should not stop when the librarian shuts the door. Some have struggled to define what staffing resources should be in the front line. Its not about staff but resources and access to them. Educators are realising that all teachers are not equal and that the ‘best of class’ resources can be brought in by services like TED Ed. We can’t expect staff to be experts in everything and have knowledge of all things, they should be great with people, know where to find the best help, engage are developing why do we believe that every librarian is perfect? The key is to adopt a uniform approach that engage in many ways and levels and that owns the interface until the customer is satisfied. 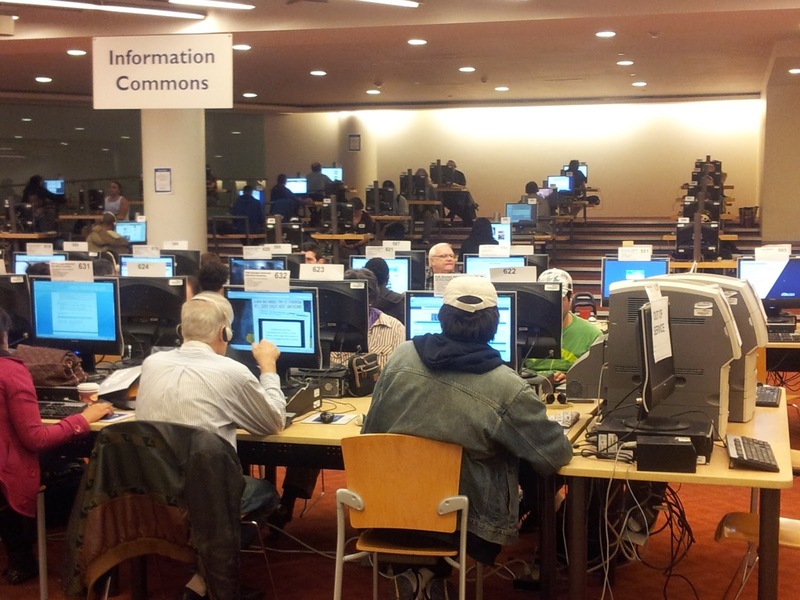 Libraries don’t need an Information Managers but a Customer Mangers with access to information. We have to recognise that Amazon is just one step away from being a universal library today! Look at FreeTime, LoveFilm, Audible, or their own ebook lending programme and ask what is different to a library. Google and Wikipedia are accepted as the sources of information that is good enough for the majority and available in a click. 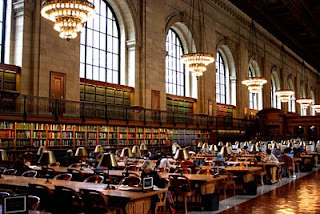 Google is scanning in the world’s top libraries and amassing a significant body of work. They will only hold it once and they can serve it to answer any search , or as a feed, or to sell and of course to growth advertising revenues. If Amazon has the media and Google the information what does the library have except the legacy and cost? 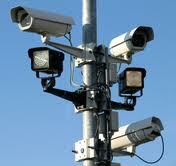 The key is collective vision and co-operation, something often foreign to ‘information managers’. Why do we believe that libraries have a place tomorrow and can lay that golden egg? How do we think that they can offer real value to the community? Why do we think that they can fare any better than the doomed chains when pitted against the Internet omnivores? They are community hubs, funded by the community for the community and not merely to satisfy the letter of a law. They are meeting places and social hubs. They are sources of and access to information. If they focus on these aspects they can justify there future. However co-operation and a dramatic reduction of duplication and resources are the keys and the question should be how the communities can be structured to enable this and deliver that golden egg. We knew an exclusive digital public library was coming and to many it makes good sense for civic communities to mix their digital and physical offer to members. Now Bexar County, Texas, has announced its plans to become the first totally digital US public library. It is claimed that the initiative came to County Judge Nelson W. Wolff after he read Steve Jobs’s biography. He claims he was inspired to believe that future generations will have little use for hardcover or paperback renditions. As a result the new ‘BiblioTech’ system plans to make thousands of e-books available for county residents via both an online service and at a 5K square foot building and importantly offer no physical books. Not only will members be able to check out books onto their own ereaders, they will be able to borrow one of the library's 150 e-readers. This bold step is possible because Bexar today doesn't have a civic library and currently pays and uses San Antonio city facilities. This is a new library with zero legacy inventory to deal with and therefore it can be born totally digital. Bibliotech is in somewhat a great position to push this proposal forward, but some would question whether the $3.7 million in currently spends with San Antonio would be better deployed in working with them to create mixed environment which would serve both communities and offer the richest of both worlds. In establishing a single library entity and restricting the material on offer they may be seen by some as playing to one small community at the expense of the bigger community. Idealology over logic, personal ego over civic responsibility. To some, it would make more sense to build a state digital library, which would share cost and inventory and obviate building lots of little ones with their own unique systems, inventories and costs. The UK High Street casualties continue. In recent weeks more have fallen and now media HMV chain is poised to follow With administrators being appointed tomorrow. Over the last decade the music chains that once dominated have fallen like domino and it is now hard to find any music on the High Street. The video stores have also largely disappeared along with the game stores. Is it all down to Amazon, Apple and their online offers? Is it down to the actual music going online and streamed services such as Spotify and YouTube? Is it down the likes of Love Film and Netflix? Is it down to increasing rents and the chain’s obsession with must have prime locations? Some would suggest that all the above mitigated the demise but in the case of HMV some would suggest that the strategy and marketing was a real issue. 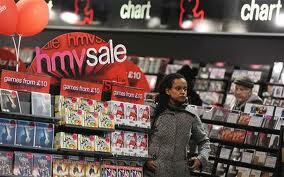 If we were to ask shoppers what HMV stands for and about their look and feel of their stores, what would be the answers? We would suggest the HMV not only held onto Waterstones too long they failed to recognise the convergence that was happening across media and its migration to full digital products until it was too late. As a result their store often resembled a ‘hotch potch’ of merchandising with consumers being lost wondering if they were in a music, film, game or gadget store. The layout was often clumsy and the brand message lost. Worst of all they failed to sell the digital product and create and effective online presence. Over the last decade music changed with Napster, iTunes, Amazon, supermarkets and HMV didn't Spotify and YouTube are now starting to further change the landscape yet HMV appears still pre MTV! It is often easy to pretend that change will not impact the current landscape, but it will. Every sale lost to the cloud means lost shelf space. It is inevitable that as the market for physical product shrinks so shelf space has to also shrink and publishing inventory adjust. This is a fact of life and like the tide and King Cunute it isn't for turning. The question is how we adjust the High Street offer to maintain a presence and maybe accept that the vertical chains that once dominated the media space are an inevitable casualty. The explosion in demand for higher education is no longer restricted to the physical lecture hall or even campus. In fact we constantly have to redefine the word campus and distance learning as it is fast becoming the effective tool for satisfying the emerging economies demand for places. Obviously distance learning is not new and players such as the Open University, University of Phoenix and BPP are among many who have long championed the approach. However the ability to validate the individual and ensure the person doing the work is the right one can be a challenge. 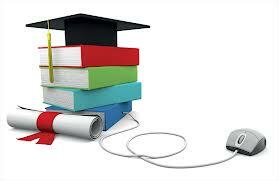 Now Coursera have announced that it verify the students throughout the course. They will do this by comparing a photo ID with a webcam and also enabling students to create a biometric profile of their unique typing pattern by typing a short phrase which will them be used to authenticate their submitted work. The company will charge a fee of between $30 and $100 for certificates depending on the course. In their first 4 months Coursera had achieved 1 million users and some 8 months later this has grown to 2.2 million students. They offer some 213 free courses from 33 top universities and around one third of students come from the U.S., followed by India, Brazil, Russia, Canada, and the UK. Will we soon be looking back at the higher education auditorium model and three hour lectures of today and wonder why they happened? Will the best lectures and teaching be supplemented by the likes of TedEd, will identifying the right student accomplished the work over the full course be more important than the final exam? Some obviously believe that Coursera has a lot to offer as they have raised some £16 million in funding. TED Ed is not a replacement for the teacher or the lesson but a complimentary guide a way of introducing the best teachers into the classroom in an engaging way that stimulates the student, validates their attention and allows the teacher to build on the sound bite and messages conveyed. 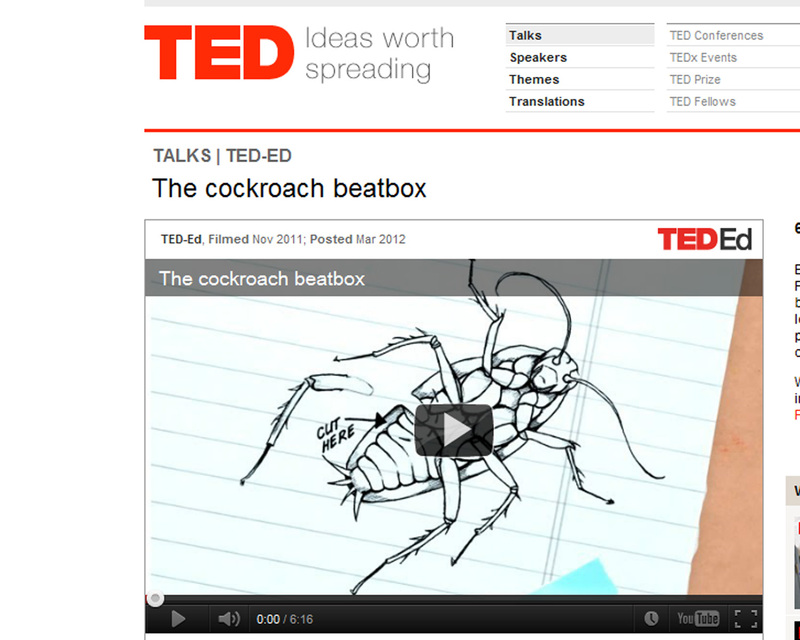 TED Ed doesn't try to own the classroom, build a walled garden around it and be the only source of information. There is a ‘think’ features and quick quiz features which enable students to answer questions and a , ‘dig deeper’ one which expands on the lesson and material and the teacher can take any of these and even the title and edit and enhance them to their needs. They can also flip the lesson to create their own rendition and URL which they can share with their own students. 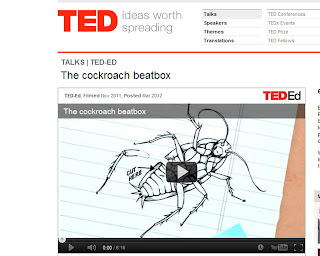 When we first wrote about TED Ed it was being launched now some 10 months later it has a growing body of work with some videos across subjects; the arts, business and economics, health, mathematics, philosophy and religion, literature and language, psychology, science and technology, social studies, thinking and learning. It takes the best and most engaging teachers and shares these with everyone for free. One is one…or is it? 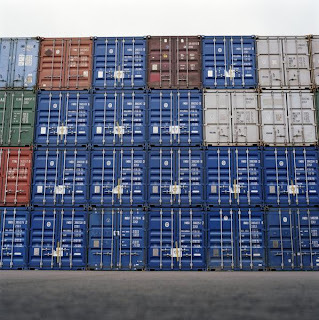 We have been brought up to believe that irrespective of the container it is rendered within, content is content. A story is a story and doesn't change and a book is a book and apart from illustrations the content itself remains the same. It’s often hard to accept that up until 1878, some 135 100 years ago, music was restricted to the live performance, be it in the home, on the streets, in bars and clubs or in concert halls. The original recorded format was restricted in both length and quality. What the likes of Sousa feared, that we would see the recording as the master and the live performance as secondary has largely prevailed over the last century. Songs have in the main been restricted and confined by the container either in the recording or in their playing. We now have the three minute song born not out of the composer or artist’s ability, but by the restrictions of the likes of vinyl technology. Recording studios have created perfect timing, rhythm, pitch etc. However, technology has also often taken a ‘it’s good enough’ route, where we end up with formats such as MP3 which give us ubiquitous reach, but at the cost of quality. As music went digital the technology eventually enabled the content to be freer of its recording constraints, but it was still often restricted by devices and distribution capacity. Ringtones, samplers , MTV and You tube have all helped maintain the three minute song package, whereas the live rendition remains still free to embrace solos and extensions. Textural content has been restricted by both economics and two pieces of card and a spine. We have as a result created our own 3 minute story, or 75,000 word 256 page book. The content remained in type, with illustrations often restricted to fantasy and children’s content. So what about textural content, stories and what we loosely refer to as fiction? The Victorians understood that the masses who had just learnt top read didn’t want the equivalent to our 256 page and often padded out story., They wanted penny fiction and fiction that could be read, as Poe aptly put it, ‘in one sitting’. In 1837 Dickens was selling some 50,000 copies of his Pickwick periodicals at a shilling a time. The pamphleteers ruled and that medium, with its adverts and affordable price ticket, ruled. Short form writing continued and the pamphlets became magazines and newsprint. The short form diminished with the paperback and it was economics that forced many writers to drop it in favour of the 256 page economic model. We even stuffed short stories into collections so that they could fit the container. The container ruled or reading habit. Today we have the opportunity to re think the content. Some will venture into refining it in terms of going beyond text and Kate Pullinger is a good example of writer adapting to this new form of content. Some will see an opportunity to reintroduce the short form text work either as whole works or like Dickens in episodic form. The content now needs to be defined for the new digital containers. We are now going through a new reading revolution which involves smartphone and mobile technology and 256 pages may render into these new containers but is it a case of content overload as we all adapt to mobile technology. Content also needs to be very mindful that it doesn’t need to displace the physical book and simply pour in yesterday’s content into today’s containers. In some cases digital can be seen as creating a new market and a complimentary one for content. 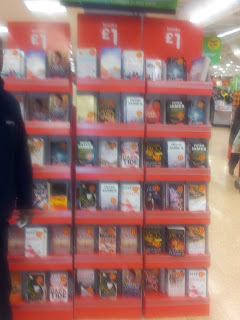 Yesterday we visited our local Asda Supermarket, (WalMart) here in London and were immediately greeted by the £1 bestseller paperback stand. This is the same £1 promotion we wrote about last year. It is after all January and sales time, so it must be ok and they do it every year, so let’s not rock the boat. It is somewhat ironic the display was sited in the same spot occupied by the Kobo ereaders before Christmas! A case of, out with the new and in with the old. It’s especially sad to see many of the same authors with £1 stickers on their jackets and Peter James with several titles on offer when he was also subject only last year to the ludicrous 20p ebook promotions. Only this week we have highlighted what we believe is the cynical £1 children’s book promotion being run by the child friendly McDonalds. Irrespective of the health issue, 15 million books at a £1 a pop must have an impact on consumer price and book value perception. There is no silver bullet on discounting and even if one did appear the value and price perception is that they are cheap. In fact they now compete, often poorly, with greeting cards! At a time when many are trying to achieve their New Year resolutions to get fitter, TV schedules are littered with the dangers of obesity, the news has increased coverage on the increased obesity of not only of adults, but also children and also the Hairy Bikers top the charts with a book about their own battle to fight their obesity, it is somewhat cynical that the industry celebrates the promotion of 15 million children’s books by McDonalds. Some would that this is a somewhat cynical promotion of heavily discounted children’s books through the sale of what many would regard as junk food. For the next two years McDonald's is effectively giving customers a voucher for discounted participating children’s books to be used to redeem titles for £1 through WHS. They claim 9 out of 10 parents responded positively to their similar campaign last year and asked them to do more book promotions. Why wouldn't they at £1 a title? The National Literacy Trust are fully behind the promotion and obviously believe that inducing parents to feed their children in MacDonalds is the answer to getting more children reading and can make a real difference to child literary and ‘well-rounded children’. It’s as if we have ignored the Jamie’s campaign for better school meals, ignored the news about the increase in obesity, ignored all the TV and media coverage on the dangers of unhealthy eating and junk food, ignored our own industry charts and diet books and rum to pick up a few pieces of silver instead and done so under the banner that it will improve the numbers of children that read. 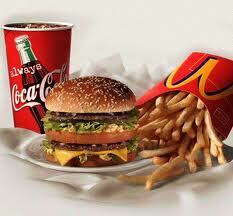 We have seen the cost of unhealthy eating and lifestyles on the NHS. We have seen proactive legislation and taxation levies on the advertising of smoking and dangers of tobacco. We have banned tobacco companies cynically endorsing sport. We are now witnessing a similar approach to alcohol abuse, but we still fail to grapple with the soft drink and junk food endorsements of sporting events such as the Olympics. Its as if money still talks louder than logic. The publishing industry, publishers and authors should step back today and ask themselves if they are happy to endorse this somewhat cynical promotion which is clearly aimed at children and whether they will, as a result, be seen to have ‘ketchup ‘ on their hands. In a previous life, we learnt the power of information on behaviour and buying patterns. Some 30 years ago one of the leading examples was Vons supermarkets in the US. They not only tracked every purchase, but also every purchase against the individual store layout and other associated products. This information enabled them to send their customers paper vouchers not for what they did buy, but also associated products they didn’t buy, or areas of the store they didn’t buy from and when a competitor open up nearby they supplied vouchers for the essentials the individual bought regularly. Now we take this information analysis and use as normal and within 24 hours the likes of Asda have not only analysed our transactions, but also compared it to their competitors and worked out the value of reward you have earned as a result. So what has this to do with publishing? Some years back we developed a digital inspection copy and ecatalogue system for publishers. The inspection copy is particularly relevant to academic and educational markets where books are sent out to institutional clients for adoption on spec. We obviously enabled the full digital copy to be read, annotated, bookmarked and shared with others on a limited time window and then followed up automatically by a feedback process and adoption feed straight into their back office systems. The savings were clear as was the ability to promote all titles and not just the new ones and also send them out like confetti with little commercial cost or risk. However, the real power was in the information collected, which wasn’t always fully exploited. We collected information on every click, access, page turn, timing, annotation, bookmark and also what was read and even if the copy was even opened! A goldmine for any proactive marketer and salesman! The information could also provide feedback into the editorial development process itself on what worked and what didn’t. In this case, the content has to be highlighted first and maybe that makes you question whether that is a true representation of activity, or just the material that has been highlighted? However what other information do they have access to? Another twist on the information front is to turn the tables on its head and respond interactively to specific activity and information from online users and then track its adoption. GPS and mapping works this way, in recognising where you are and feeding you the relevant directions or places near you etc, and in doing so, it responds to information you have given it. J Now Eli Horowitz has developed a story app ‘TheSilent History’, which is about a generation of unusual children born without the ability to create or comprehend language but who have other skills. The work is released in daily episodes like a Japanese Keitai novel. For readers who wish to explore more, Horowitz has created hundreds of GPS locked ‘Field Reports’ that can only be read when the reader takes their device to the specified place. The location-based stories can be accessed across the U.S. and around the world. Education has already adopted online assessment based on student responses and today McGraw-Hill announced Smartbook, which is a new ‘learning’ ebook for students, enables students to read the same textbook. However, as they individually start to answer review questions embedded throughout the chapter, different passages become highlighted and point the reader to where he or she should focus attention. It like having the teacher looking over your shoulder as you read! So is the tail wagging the dog or the other way round? Information about behaviour, likes and dislikes is not just for the supermarkets and online retailers but can be used to shape digital content and even determine our individual navigation through it. Of course all this data can also feeds the ad model businesses , so those little tick boxes on many registrations may be more important than you think. It’s a pity we can’t easily find out what information is being held against us. As publishers have always been in the content and rights business but have long been restricted by the book format. Now the digital world offers new forms and licensing opportunities and enables publishers to redefine their role in the development and exploitation of content and rights and also build brands. An example is the recent move by Penguin to take full ownership of Snowman Enterprises Limited (SEL). 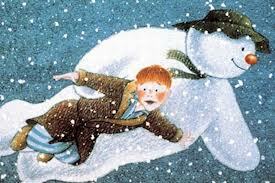 This logical acquisition means that Penguin now control not just the traditional book rights but the film, TV, digital and merchandising rights to Raymond Briggs' classic, The Snowman. The Snowman has accumulated over 8.5 million sales worldwide and has become synonymous with Christmas today. As part of the brand development, Penguin imprint Puffin now plans to release audio ebooks of The Snowman and The Snowdog read by actor Benedict Cumberbatch, as well as new publishing in print and digital formats. The move starts to move Penguin into being a multi media content and brand owner who is built around solid and respected stories and now with a tighter control over all associated rights. We are thrilled to learn today that for services to military history in this year's New Year's Honours list, Max Arthur, a longtime friend of Annie and staunch supporter of Bibliophile, has received an OBE in deserved recognition for his writing on oral military history. Max has brought history back to life through his 'Forgotten Voices' series of war books working closely with the Imperial War Museum on Forgotten Voices of the Great War and Forgotten Voices of the Second World War. In the course of his work he developed a close relationship with the last surviving World War I veteran in the UK, Harry Patch. 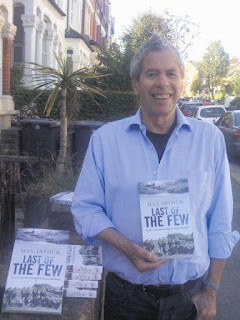 Max's long list of other books include Northern Ireland: Soldiers Talking, Men of the Red Beret, There Shall Be Wings: The RAF 1918 to the Present, The True Glory: The Royal Navy 1914 to Present , Last Post,.Lost Voices of the Edwardians, Dambusters: A Landmark Oral History, Fighters against Fascism: British Heroes of the Spanish Civil War, The Real Band of Brothers, Last of the Few: The Battle of Britain in the Words of the Pilots Who Won It, We Will Remember Them, Above All, Courage:Personal Stories from the Falklands War , The Road Home : The Aftermath of the Great War, The Faces of the Great War, Symbol of Courage: the men behind the medal, Lost Voices of the Royal Navy, When This Bloody War is Over: Soldier's Songs of the First World War, . He has also presented two television documentaries: The Brits Who Fought For Spain(2008-9), a joint production by The History Channel UK and The History Channel Spain.